Paul Davies, Manchester. A Taylor Made Service customer for nine years. 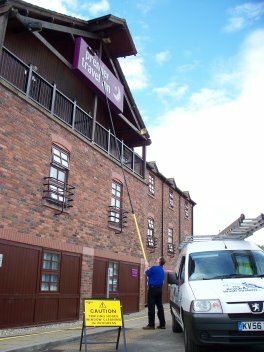 A Taylor Made Service is a long established business offering Window cleaning, Facilities management, Building and Grounds Maintenance to both Commercial and private clients throughout the local area. The company, which is based in Openshaw (Manchester), was established in 1997 and staff members have many years experience in the window cleaners and building maintenance sector. 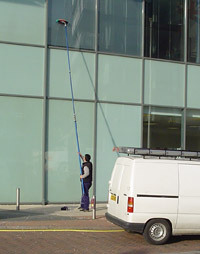 The firm offers comprehensive and tailor made Window cleaning, Facilities management, Building and Grounds Maintenance to Companies and individuals, which can be designed to be cost effective and meet current regulations at all times. With a custom built office, the business also has expert, fully qualified and polite staff enabling clients to save time, money and enjoy the finished results. With a close-knit unit of 6 skilled tradesmen and women, A Taylor Made Service has a professional team, qualified in experience of trade of window cleaning, facities management, painting and decorating, builders and gardening. A Taylor Made Service has an expanding customer base, situated in and around Manchester, including Car showrooms, Food stores, petrol stations, retail outlets, Public houses, Schools, Offices and a large number of private customers. The company is managed by Alan Taylor who has been involved in the window cleaning business for some years and building maintenance for many years. Alan Taylor is experienced enough to take good care of the company, having previously worked for Royal and Sun Alliance Estates Division as Facilities and maintenance manager, and at Priory Furnishings as a Joiner.